Here is a solution for the nasty game.dat error and crash you can sometimes get when clicking on the Skirmish button. 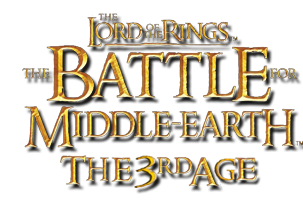 It is caused when the last time you played skirmish you were playing as a new faction from a mod (elves say) but this time you want to play with a different mod or no mods at all, the game has a record of the last team you played as (elves) but this time when you start up the game can't find any code for an elven faction causing it to crash. I know that this code looks confusing, but it actually isn't that hard to read once you know how. None of the "00" are relevent (unless your name is 007 or something) so, if you read the "Current User name" part, but in your mind remove the "00" you'll get "t_e_s_t_20_1_00"... now ignore the "_" marks... "test 20 1 00"... now remove the "20" as it simply stands for a space mark... "test 1 00"... now remove the last "00" because the computer just adds it in to stay uniform... "test 1" and you have the profile name. Simple. So, to save the rest of your profiles but still be able to run the game all you need to do is add a new user and make that new user profile the "CurrentUserName" and you'll keep your old profiles and still be able to run the mod. The reason why it works this way is that when you play as a new faction it records the faction name and number along with record...then when you open the skirmish menu it can load up the last played faction and show you your record with them. The problem arises when the last faction you played, say an Elven faction you added, doesn't exist in my mod...so the game doesn't know what to do and it decides to give you a game.dat error. Sorry if this isn't the right place, but its relevant to skirmish files. You see, I play BFME2 in Crossover on my Mac, and in skirmish mode you cannot type in the box when creating a new profile. Is there any text in the skirmish file apart from the username when it is first created? I know there is the date created or something, since that section in the game reads 'missing data', but is there anything else? Basically, what is in a newly created skirmish.ini file with only one user? why not just delete any reference to the faction, instead of making new usernames and stuff?